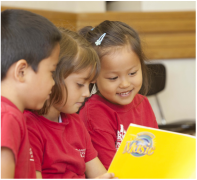 The Academy's foundation centers around dynamic small classes. 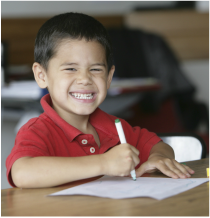 The ability to individualize curriculum delivery, while nurturing student-directed learning provides boundless opportunities for performance excellence. 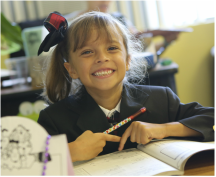 The Academy builds a solid educational foundation by focusing on targeting specific competencies, literacies, requirements, standards and skills at each grade level while supporting the Academy's Student Learner Outcomes. This ensures that our students are prepared for the future. Creates products and works that reflect thought and originality with the highest standards. ​Is self-directed with the abilities to set priorities and achievable goals as evidenced by the use of good planning, organization, time management skills, collaboration, and completion of tasks. Recognizes and takes initiative to solve real life problems. Is creative and open to new ideas. Can identify and pursue personal goals that are realistic and attainable. Demonstrates a capacity to apply acquired knowledge to a changing and innovating world. Can identify and pursue personal goals that are realistic and attainable. Demonstrates a capacity to apply acquired knowledge to a changing and innovating world. Is able to confidently convey ideas through the modes of oral, written, artistic, and technological communications. Exhibits skills in collaboration, negotiation, conflict resolution, active listening, team work, and compromise. Expresses ideas and information clearly, creatively, and with respect for socially appropriate behavior not only in English but in other languages. Contributes time, energy, and talents to improve his/her school, community, country, and the world. Is culturally-minded and has an understanding and appreciation for our diverse society. Demonstrates personal integrity, perseverance, caring, and responsibility towards his/her community and the environment. Understands the requirements to be a productive citizen in a global society. Is able to utilize a wide range of technologies and media to access information and demonstrate learning. Demonstrates an understanding of legal and ethical implications and expectations of appropriate use of technology. Is able to critically evaluate the context, social matter, and validity of internet resources. Understands the importance of intellectual, physical, social, and emotional balance to achieve personal well-being. Applies classroom learning to real-life situations. Sets short-term and long-term goals for learning and initiates action plans for realizing those goals. Sets priorities and organizes time and resources effectively.